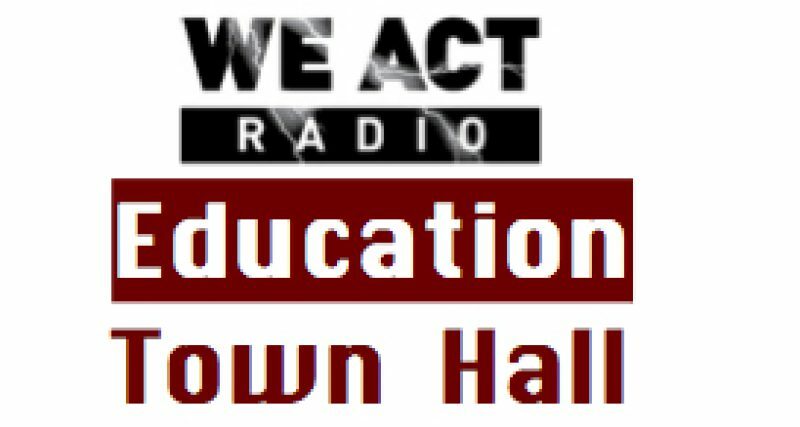 Wanda Lockridge told the Education Town Hall how the William O. Lockridge Community Foundation supports students in DC’s Wards 7 and 8. Honoring the memory of teacher, coach, and board of education member William Lockridge, the foundation provides scholarships to college-bound students and funds an “International Ambassadors” program bringing middle school students to Africa. 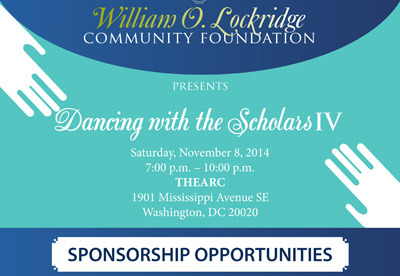 Their annual fund-raiser, “Dancing with the Scholars” pairs high school students with State Board of Education members. Educational entertainer Ayanna Gregory and comedian Laughin Lenny, who will be on the Nov. 8 program, each describe why they are involved and share a taste of their work. See Tracks 3 and 4 below. Saturday, Nov. 8, 7-10 p.m.
On Track 5, Tatisha West of the Georgia Avenue Family Support Collaborative discusses the Show Up Stand Out movement for truancy prevention, and DC Council candidate Courtney Snowden, a 6th generation Washingtonian, relates how education issues launched her campaign.